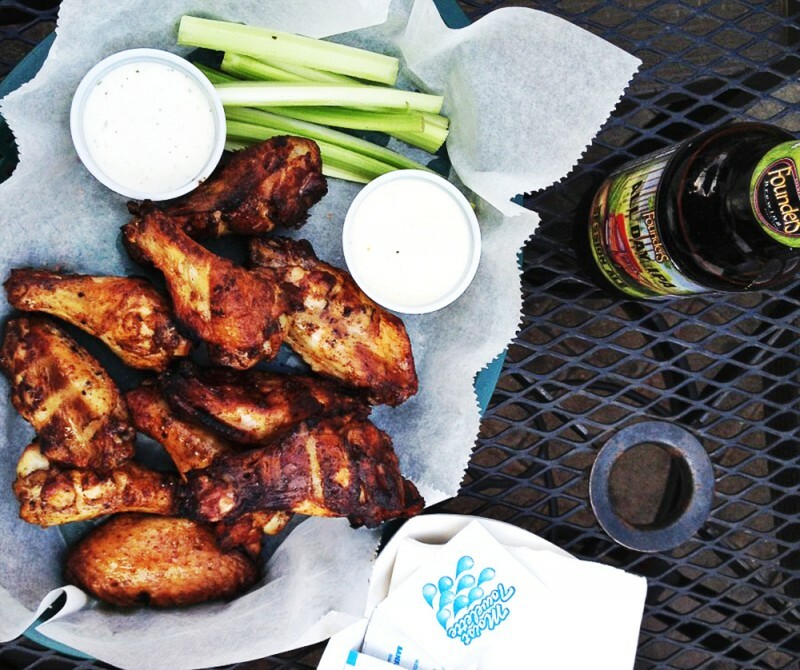 There’s more than one way to eat a chicken wing. The Oak Tavern has all the deep-fried goodness you would expect from an unassuming neighborhood sports bar. But the wings ($11.95 for 10) are slow-smoked and grilled, and come to your table dry with a “sauce caddy” filled with bottles of Memphis Sweet BBQ, Tabasco Jack, Carolina Gold BBQ, etc. The resulting flavor is generally more interesting than your standard deep-fried-and-drenched drumsticks. They’re practically delicate. The sauce situation does present some new rules for eating, though. My method: Go in for the bleu cheese first, then give it a direct hit with a bottle from the sauce caddy. Good life advice all around, I expect.